Consider this your starter pack, moms. It's the best time to be a parent. Modern technology has come up with the most ingenious solutions to our day-to-day problems—including tools to help you navigate (and survive) motherhood as a clueless newbie. From a lifesaving breast pump to a reliable home monitoring system, here's our list of must-have gadgets that are guaranteed to make life easier for any overwhelmed mama. Basic communication functions aside, the endless features can do wonders for an exhausted mom's sanity, serving as a scheduler, grocery list, expense tracker, medical diary, meal planner, and more. Avoid the empty-batt scenario (a no-no for moms!) by always lugging a portable charging device in your purse. Got your hands full? This lets you enjoy the benefits of a smartphone on your wrist. If you've got an extremely active kid, a kiddie version with a GPS feature can help you keep tabs on him especially in crowded areas. Lull your baby to sleep anytime, anywhere with the help of a portable speaker that you can pair with your phone. You can use the Telpad like a regular tablet, but it also comes with a landline phone, so you can get more work done and also entertain your little one. Just be sure to supervise and limit use—too much screen time can negatively affect your child's development, studies have found. Baby's got a fever? 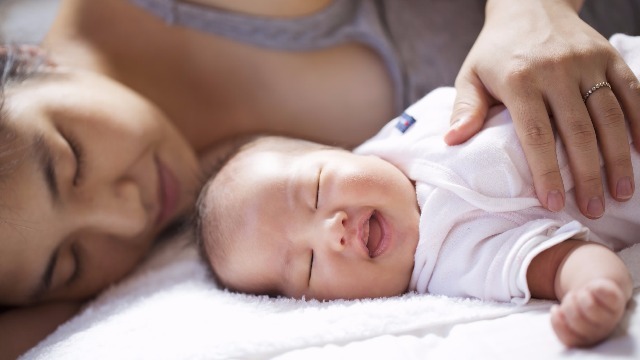 Monitor your little one's temp with ease with a battery-operated ear or no-contact thermometer that gives you results within seconds. This nifty little device lets you clear your child's nasal passages via a tube that draws out the mucus. It's every parent's ultimate weapon against snot! Need to go back to work but want to continue breastfeeding? It's doable with an automatic breast pump that lets you express milk quickly and with ease—even at the office. This helps you promote a good night's sleep by increasing the moisture in the air for easier breathing. Bonus benefit: It also helps relieve cold symptoms. Keep a close watch on your family while still being able to do the things you have to do outside the house (work, catch up with friends, go on a date with your husband) with this home-monitoring system that’s designed to give you peace of mind. It's easy to set up, plus you can check the camera feed anytime on your mobile device. Just install and open the app on your phone to enjoy access to the goings-on inside your home. Choose from the Basic Fam Cam, which comes with a built-in mic, or the Advanced Fam Cam, which allows two-way communication. For more information on PLDT Home Fam Cam, go here.